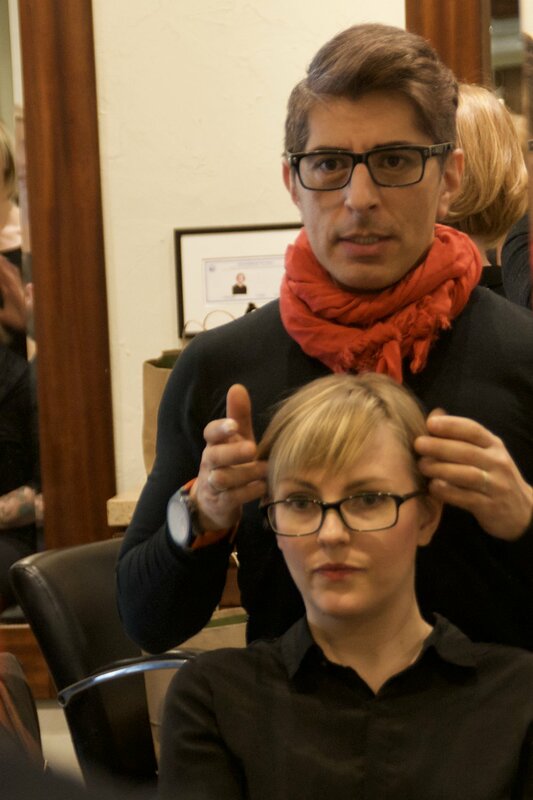 Luis graduated from the cosmetology program at C&C Academia Llongeras in Barcelona, Spain in 1993. He then relocated to Milano, Italy where he worked as a hairstylist for the next 12 years. He received further training in 2008 at VFS in Vancouver, Canada for makeup design. Working with Aveda has given him many great opportunities to learn and grow as a stylist. Luis believes it is important to become a polished craftsman and share your knowledge with others. He is passionate about haircutting and coloring equally, from long hair to short razor cutting. He is confident he can meet any hair or makeup need. He likes hair to be simple, neat, and superbly styled. Luis’s work doesn't end with the last stroke of the brush or comb either; he makes sure to educate his guests on how to maintain the hairstyle at home. Luis loves everything he has... and he has everything he loves… He enjoys gardening, painting, and spending time with his hubby. Favorite Aveda products: Pure Abundance Style Prep, Damage Remedy Daily Hair Repair, and he love, love, loves Control Force.